Bubble Guppies fans won’t want to miss this new collection of fantastic farm-themed episodes in Bubble Guppies: Fun on the Farm, which hits shelves May 10. This new collection explores the world of farming as the Bubble Guppies meet new animal friends like Bubble Kitty and Spring Chicken, and join in exciting farm events like the Cowgirl Parade. In the five featured episodes, the Bubble Guppies meet new friends that oink, moo and buzz, having tons of farming fun along the way. 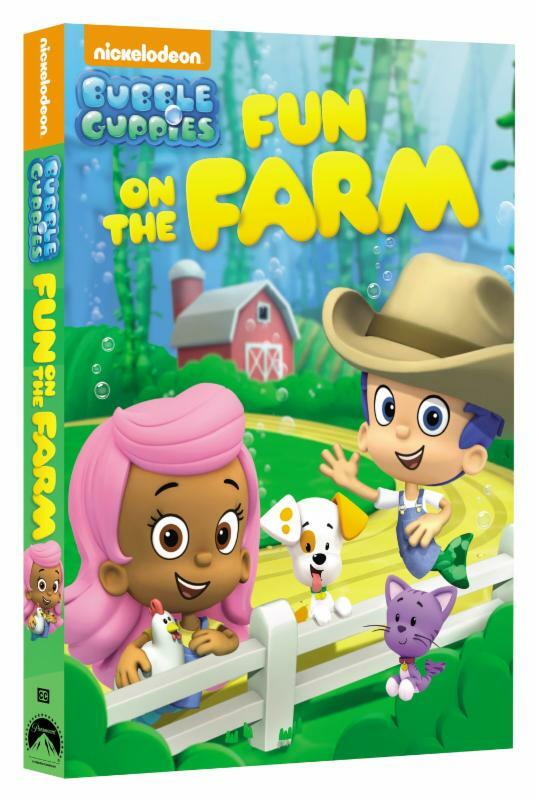 Produced by Nickelodeon Home Entertainment and distributed by Paramount Home Media Distribution, Bubble Guppies: Fun on the Farm will be available on DVD May 10, 2016, for the suggested retail price of $15.99. The Spring Chicken is Coming!